The world’s most expensive pair of sunglasses not only come with a carpet of diamonds, but also a price tag of Dh 1.5 million. Fashion followers will like to know that this pricy pair - the most expensive pair of sunglasses in the world - has been designed by De Rigo Vision for Chopard. Adding to the uber-luxe factor, is a ‘C’ logo located at the temple. It has been created by a coloured glass powder, hand-grounded and placed in the oven four times. The jewels, on the other hand, have been set in a way that they emanate a special light. In order to achieve the desired results, the classic pavé settings have replaced a more advanced one. The diamond-encrusted pair, unveiled in Milan, then made an appearance at the One and Only Royal Mirage. As the home of the rich and fabulous, Dubai makes for the perfect destination. 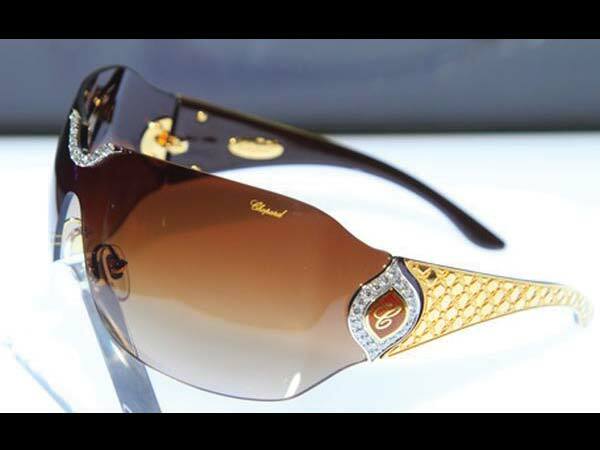 To get your hands on the Chopard sunglasses, take a trip Dubai's Paris Gallery.